Michelle and Meghan have finally met. Meghan Markle and Michelle Obama met for the first time privately on Monday evening on December 3rd, PEOPLE confirms, after the royal mom-to-be attended the London stop of the former first lady’s book tour—in support of her new memoir, Becoming—at the Southbank Centre. Mrs. Obama has a friendly history with the British royal family. Prince William, Kate Middleton, and Prince Harry hosted President Barack Obama and his wife for a private dinner in 2016, with Harry warmly greeting the first lady with a double kiss. 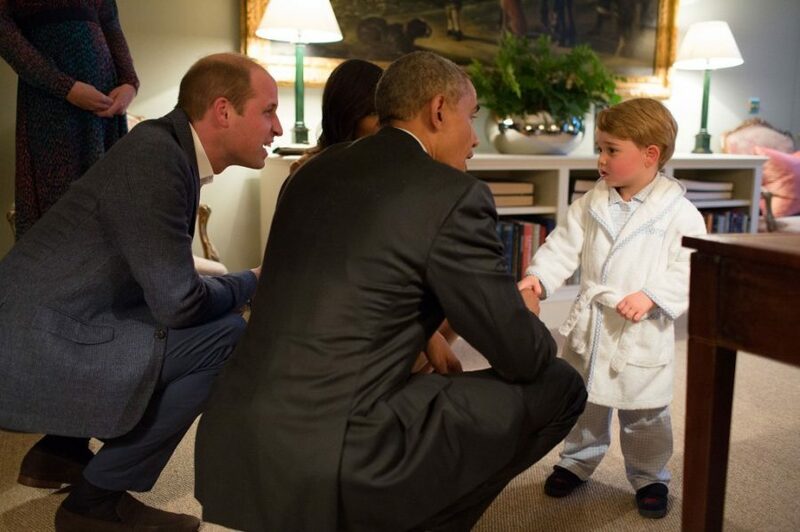 Memorably, Prince George stayed up late to greet the commander-in-chief clad in a bathrobe, matching gingham blue pajamas, and slippers before taking a ride on a rocking horse—a gift from the Obamas when he was born. The special evening—which followed lunch Buckingham Palace with the queen—was arranged by William on behalf of all three royals, and “they were delighted that [the First Couple] were able to accept,” a palace source told PEOPLE. “The three of them have built up a relationship with the president and first lady over the years,” added the source. Harry also hosted Michelle and daughters Malia and Sasha–along with grandma Marian Robinson–for tea at Kensington Palace back in June 2015. In October 2015, the Obamas played host to a visiting Prince Harry—where the chemistry between Michelle and the royal was on adorable display. 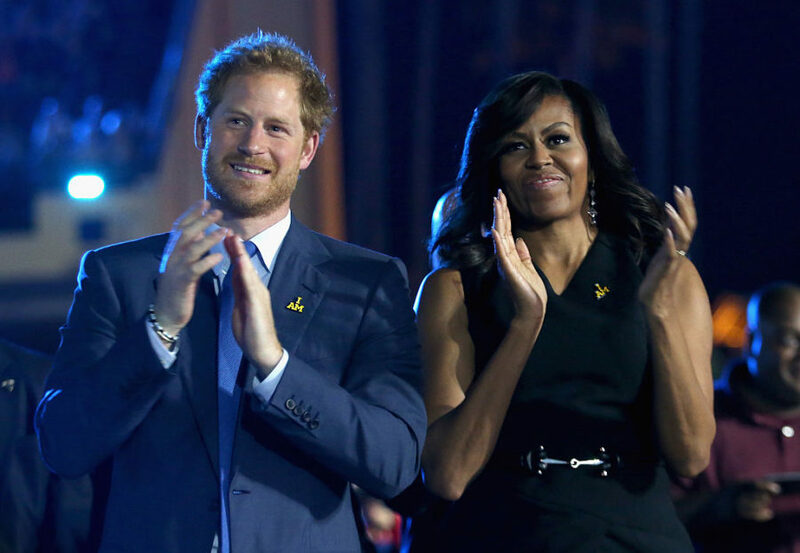 The former president and his former vice president, Joe Biden, also showed support for Harry’s Invictus Games in Toronto last year, shortly before Michelle and Harry surprised high school students in Chicago with a visit when the royal was in town for the inaugural summit of the Obama Foundation. The first lady-turned-author, 54, recently offered the Duchess of Sussex, 37, some pointers in the new issue of Good Housekeeping—from one woman who held a uniquely high-profile job to another. “Like me, Meghan probably never dreamt that she’d have a life like this, and the pressure you feel—from yourself and from others—can sometimes feel like a lot,” the Becoming author said. “So my biggest piece of advice would be to take some time and don’t be in a hurry to do anything,” Mrs. Obama continued. She also discussed Meghan’s power to make a difference. “What I’d say is that there’s so much opportunity to do good with a platform like that—and I think Meghan can [maximize] her impact for others, as well her own happiness, if she’s doing something that resonates with her personally,” Mrs. Obama said.